I have been thinking about yoga, meditation and the process of discovery we go through. For most of my twenties I was either studying, meditating, practicing yoga, travelling or a combination of all! 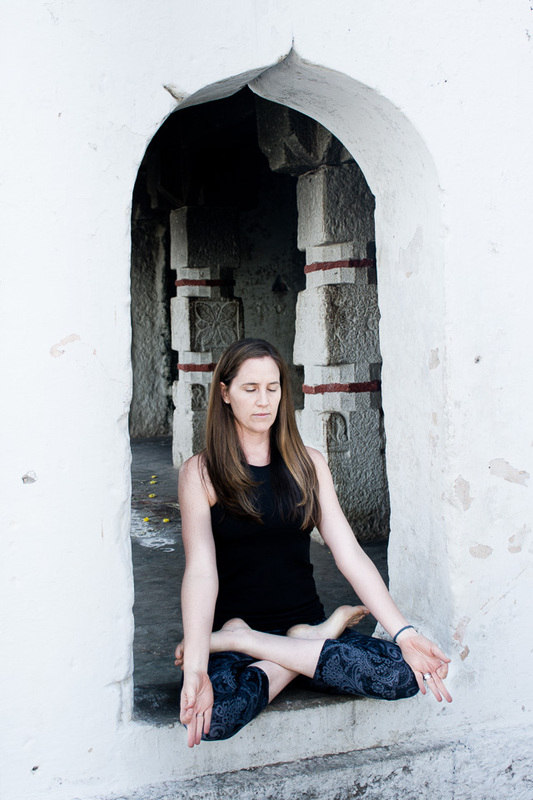 I have come to realise that the many years of meditation retreats alongside a dedicated yoga practice is what deepened my understanding of yoga, beyond the asana. I’ve noticed that there is a great reluctance by yoga students, and yoga teachers to contemplate an intensive meditation retreat as an element of their practice – but generally it is a life changing experience. SILENCE: There is nothing like the sound of silence. For some people it is terrifying, for others it is liberating. Not talking to, looking at, or engaging with another person for 10 days is a form of freedom for me. The experience of silence like this is profound. In this silence the mind’s chatter, thoughts, habituated worrying, judging, complaining, and daydreaming becomes very, very clear. It is different to the experience of a quiet practice in the middle of daily life. It is prolonged and hugely transformative. DON’T FEAR: I think if we are dedicated to spiritual practice yet scared of a 10-day retreat, what we really fear is ourselves – our own mind – and that’s no way to live! To live constantly in fear of our own thoughts, reactions or feelings won’t help us to be happy. OVERCOMING AVOIDANCE: I hear quite regularly ‘I’m just not interested’ when it comes to meditation retreats. I don’t understand this logic – if you are very dedicated to spiritual practice via yoga, then this seems avoidant? Any opportunity to get to know ourselves better is wonderful to my mind. As a yoga student, intensive meditation enriches our understanding of our daily practice, and as a teacher – well, it will allow you to experience the other limbs of yoga in a way a moving practice doesn’t – and this learning can only make you a better teacher. IT’S THE RIGHT TIME: In many ways it’s never the right time to undertake a retreat. Realistically there is never a great time to just take 10 days out of life to do ‘nothing’. So just make it happen and see what unfolds. The only time that’s really not the right time is if you have people reliant on you for their care, elderly parents, children etc. OVERCOMING HABITUATED PATTERNS: On a meditation retreat there is no reading, no internet, no Facebook, no email, no demands from other people. It is an immediate stop to our daily patterns. Creating a break in these patterns allows for change. FINDING FREEDOM: Yoga can make us feel good. Feeling good is great – I am certainly addicted to the way yoga makes me feel. It’s the best drug ever. But stillness is different. There is a freedom in seated meditation that is very different to asana practice. Sitting still in meditation for hours and hours each day for 10 days will bring you to the cusp of your sanity – it will show you your blind spots, reveal the patterns that unconsciously drive you. You can’t be free from patterns you can not see. GET TO KNOW YOURSELF: Freedom and happiness comes from getting to know yourself, and accepting whatever you find. Our minds are unique and relentless, with great ability to bring us and others joy and sadness. The mind is a powerful tool if you can harness it. But you must know yourself first. Sitting alone with yourself for 10 days will allow this to happen in a way that is quite unlike any other ways I know. Have I convinced you? Let me now if you go on retreat or have been on retreat and what your experience was?